Customized Annie ring in de-ox silver that won't tarnish like sterling silver. 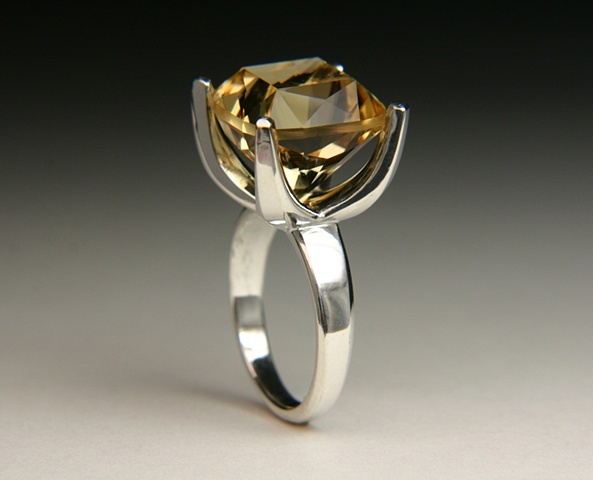 This ring has a 11.89 carat 16mm radiant cushion cut golden Citrine. We changed the ring to a more angular look to match the stone. Size: 8 3/4 contact us about sizing.